Crisis hotlines offer SMS texting with counselors. Texting can be a more comfortable medium than phonecalls for teens seeking help from a crisis counselor. Most of the time texting is just for making plans or sharing a quick joke, but texts can also convey more serious information. And crisis hotlines are increasingly offering SMS text message services so teens or anyone can elect to text with a counselor instead of speaking on the phone. It makes sense because texting is more discreet and can’t be overheard (an individual in distress might be seeking guidance about one or more of the people they live with or encounter often). Texting also seems normal in social settings, so someone who wants to reach out for help while with a group of friends or at school or work can text without revealing to anyone else that something is wrong. The New York Times also points out that texting makes it easier for counselors to juggle multiple cases at once, bring in colleagues to consult about a particular issue, or restart a conversation that has stalled. In addition to hotlines, people can also contact the National Dating Abuse Helpline and National Human Trafficking Resource Center through texts. The trend also extends to 911, which more and more people are able to reach by text around the country. On Jan. 30 the FCC made a recommendation that all U.S. mobile carriers support text-to-911 by the end of 2014. The four biggest U.S. mobile carriers already agreed last May to prioritize build out of this feature. Texting provides mixed results according to counselors interviewed by the Times, but one benefit is that people can review the conversations they’ve had with counselors as many times as they wish. It also seems clear that the medium especially appeals to teens and young adults, who are the population many hotlines most serve anyway. A major downside is the impersonal nature of texting, which can make it harder for counselors to forge trust. 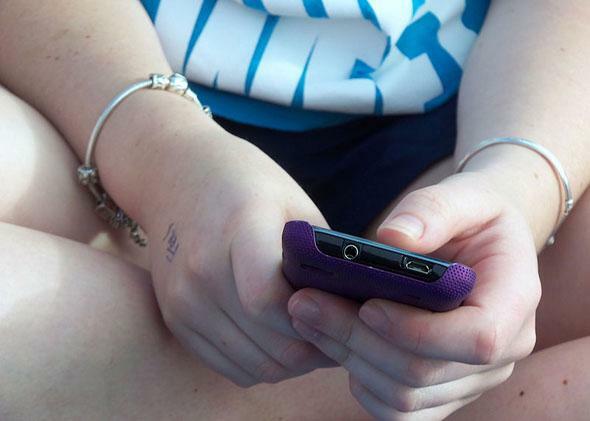 Text-only communication also makes it harder for counselors to assess a person’s mental state. Someone who was seeking help might suddenly say that everything is fine and that they feel better even though they are crying or being threatened in some way. It does seem, though, that people especially turn to texting when they are in the midst of a crisis, or have just come out of one, giving them more incentive to connect out of a sense of urgency. Though it may not seem like a major shift, texting significantly broadens the possibilities for remote counseling.